#Nassau, November 2, 2018 – Bahamas – The official launch of the poppy season was held on October 30th at Government House by members of the British Legion-Bahamas Branch (BLBB) and the Royal Bahamas Defence Force. The Governor General of the Commonwealth of The Bahamas, Her Excellency, The Most Honorable Dame Marguerite Pindling was the recipient of the first official poppy from a member of the Girls Brigade. Also in attendance were Commodore Tellis Bethel, Commander Defence Force and Word War veterans from the British Legion-Bahamas Branch. 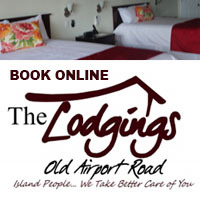 The British Legion-Bahamas Branch, along with all of its Commonwealth colleagues, will pay homage to all of the World War I Soldiers who fought from various countries 100 years ago between 1914-1918. Poppy sales began earlier last week. 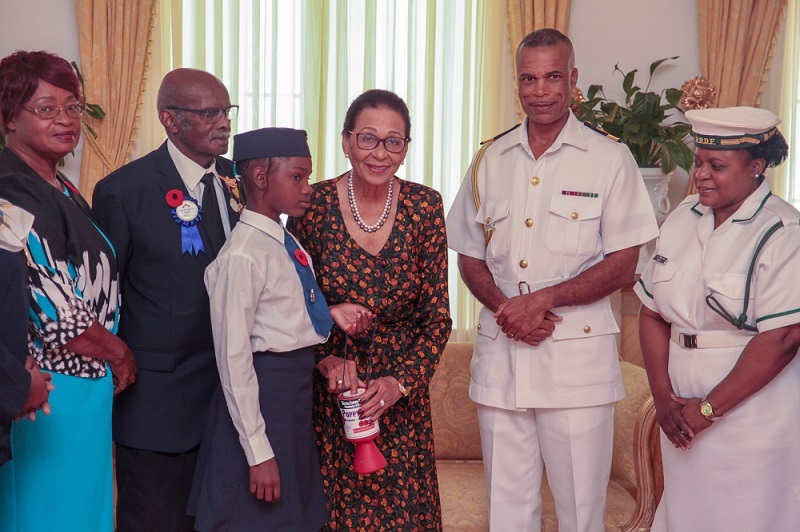 Chaired by Cephas Ferguson of British Legion Bahamas Branch and administrated by Executive Secretary, RBDF Representative, Woman Marine Reservist Adina Munroe-Charlow, proceeds from the poppy sales benefit the registered World War II Veterans or their widows with their monthly grants. It was a tradition that came about after 1914 during the onslaught of World War One (WWI) in the heart of Europe. Poppies were reported to be one of the first flowers to emerge from the freshly-dug graves of dead soldiers in Northern France and Flanders Fields. The poppy represents the immeasurable sacrifice made by the fallen and has become a lasting memorial symbol to those who died in that World War and later conflicts. Poppies are worn on the left of one’s attire, close to the heart. Header shows from left: Mrs. Dorcus Rolle, Deputy Commissioner of the Girls Brigade of the Bahamas and Turks and Cacaos Islands; Mrs. Anna Mae Ferguson and Comrade Cephas Ferguson( Chairman of the British Legion-Bahamas Branch); Girls Brigade representative; Her Excellency The Most Honourable Dame Marguerite Pindling; Commodore Tellis Bethel, Commander Defence Force; Reservist Adina Munroe-Charlow (British Legion Executive Secretary and RBDF Representative); Comrade Vernon Pindling, WWII Veteran; and Commander Shondel Pinder, Royal Bahamas Defence Force Liaison Officer of the British Legion-Bahamas Branch. 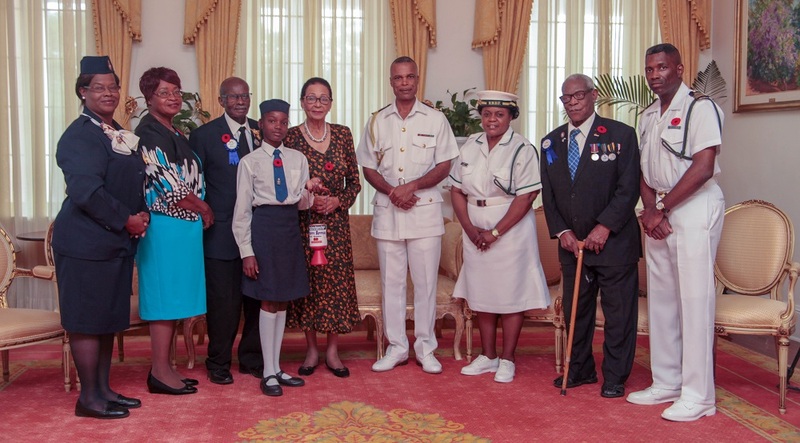 Insert: The Governor General of the Commonwealth of The Bahamas, Her Excellency, The Most Honorable Dame Marguerite prepares to receive a poppy from a member of the Girl’s Brigade on October 30, 2018 at Government House.